It’s Family Day Weekend… come enjoy this family-friendly event, the monthly Banff Gallery Hop! 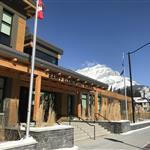 This self-guided tour takes you to unique Banff cultural sites where each venue will have special events happening. Maps available at all venues.